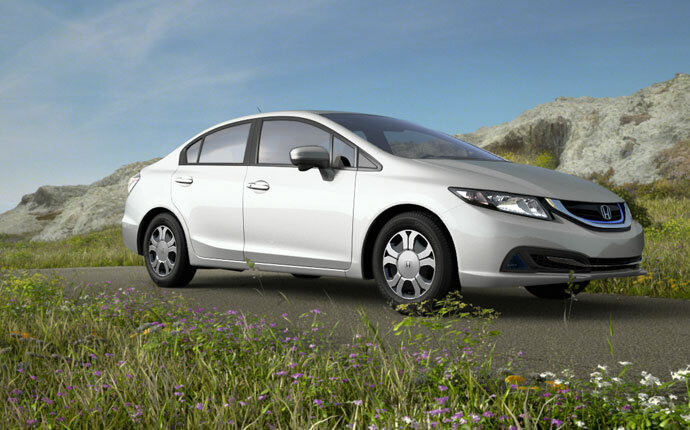 The 2015 Honda Civic Hybrid provides a level of efficiency, technology, and value for Middletown and Mechanicstown drivers that just can’t be matched by competitors like the 2015 Toyota Prius V. With advanced safety systems, numerous standard features, and an expansive interior complemented by a fuel-sipping powertrain, the 2015 Civic Hybrid rests firmly in a league of its own. 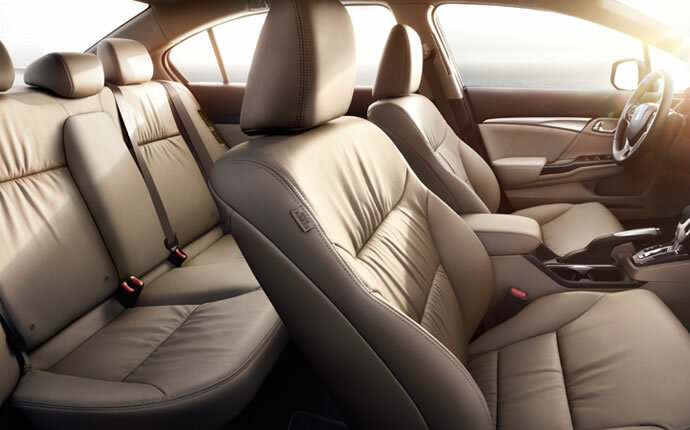 Hybrid with Leather: Starting at $25,935,* these models include leather-trimmed seats that are heated in the front. The 2015 Toyota Prius V spreads features out across four separate trim levels. Starting at $26,675 with the Prius V Two and going right up to the $30,935 Prius V Five, models both start and end higher than the 2015 Civic Hybrid without providing Middletown and Mechanicstown drivers with the same level of standard technology. 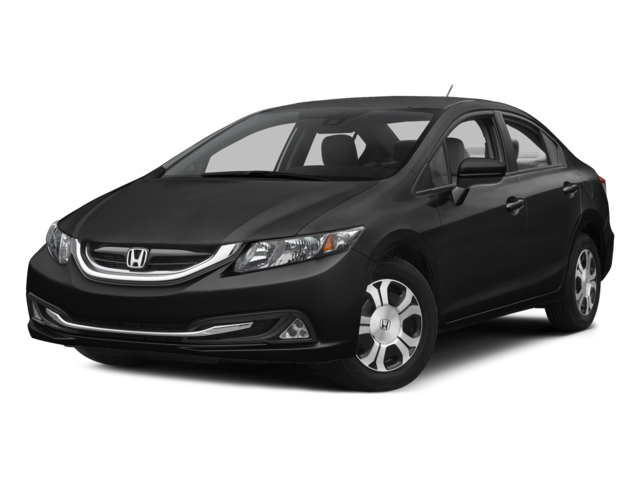 Hybrid models live and die by their ability to drop fuel-consumption figures as far as possible without sacrificing performance, and the 2015 Honda Civic Hybrid delivers. Using a 1.5L i-VTEC engine, lithium-ion battery, cutting-edge electric motor, and continuously variable transmission, the vehicle makes up to 110 hp and 127 lb-ft of torque. That’s more than enough to feel responsive -even while fully loaded — but it still allows you to make 44 mpg city/47 mpg highway/45 mpg combined. **The 2015 Toyota Prius V just can’t compete. You’ll enjoy slightly more power with a rating of 134 hp, but the 1.8L engine will consume more fuel in order to provide it. 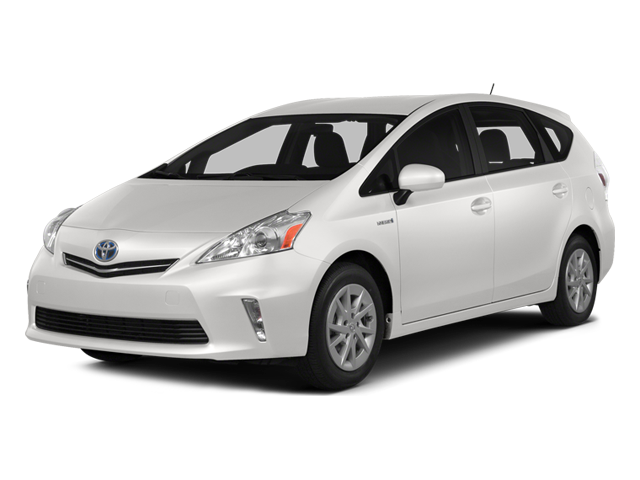 Offering 40 mpg on the highway, the Prius V is not as efficient as the Civic Hybrid. 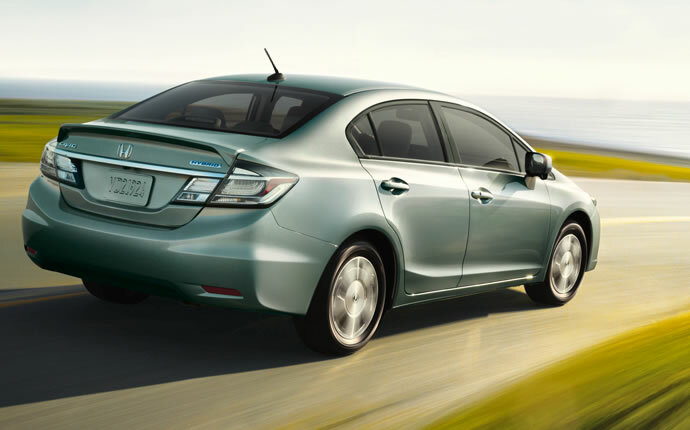 The 2015 Honda Civic Hybrid complements its advanced drivetrain with a high standard of technology across all models, providing Middletown and Mechanicstown drivers with comfort, convenience, and entertainment systems that can’t be rivalled by even the more expensive 2015 Toyota Prius V.For starters, while both vehicles include smart entry as standard, the Civic Hybrid extends that convenience to loading and unloading, using a tailgate fitted with a power-release lock and unlock system. There’s also an integrated text-messaging function as well as the standard Bluetooth streaming to help keep you connected on the go, as well as a Honda LaneWatch system to improve visibility. 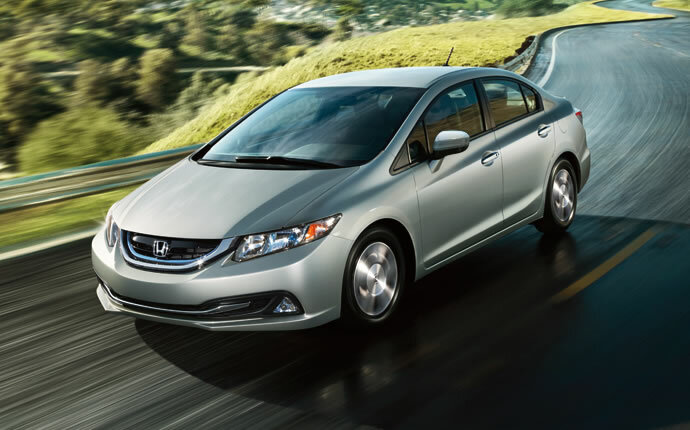 The 2015 Honda Civic Hybrid doesn’t make you choose between comfort and space. Despite offering more tech features than the 2015 Toyota Prius V, this vehicle also boasts an enviable level of space, with room to seat up to 5 passengers in total comfort. Storage is maximized, too. In addition to the roomy 10.7-cubic-foot trunk, you’ll find storage pockets across the cabin to keep everything organized. Forward Collision Warning: Senses the distance between your Civic and the vehicle in front, providing an alert should the gap become too small. Lane Departure Warning: Gauges your lane, and then provides a warning if you begin to deviate without indicating. Advanced Compatibility Engineering (ACE): This advanced body structure intuitively channels collision energy away from occupants in the event of a crash. The 2015 Toyota Prius V is utterly bested by the 2015 Honda Civic Hybrid, and we’re convinced that Mechanicstown, NY drivers will agree. Experience it for yourself today when you visit Middletown Honda. ** Based on 2015 EPA mileage ratings. Use for comparison purposes only. Your mileage will vary depending on driving conditions, how you drive and maintain your vehicle, battery-pack age/condition and other factors.